-Your child gets their own faux passport to update with stickers included each month so they get to remember all of their "trips around the world"
Can't believe it? Neither can I! Little Passports is partnering with Luxury Link to give away a trip to Belize, worth $5,000, to one very lucky family. It's easy to enter, and they’re offering bonus entries for participating in fun games, trivia questions, and more. Take 1 minute to enter this giveaway, and maybe YOUR family will win the trip of a lifetime! 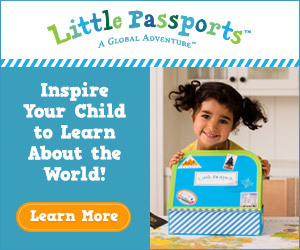 Win a trip to Belize from Little Passports!